The Apple vs. Samsung patent trial is heating up as Apple made an emergency motion for sanctions against its juristic opponent Wednesday. Apple is seeking punishment for Samsung's alleged breach of court protocol by leaking excluded evidence from the patent trial and releasing a statement to the press Tuesday. The company has yet to specify what penalties it's seeking, though those will be made in a soon-to-come filing. Apple wasn't pleased with the revelation, citing fears the information could influence jurors, and pointed the breach to the trial's judge, Lucy Koh. Koh, reportedly perturbed, asked Samsung's legal counsel to file an explanation revealing who drafted the statement and who OKed the public comments. In response, Samsung said Wednesday the information is public domain and is therefore not at fault for releasing it. The company's legal team called Apple's accusations "false representations." Apple, unsatisfied with Samsung's explanation, proceed with its emergency motion. 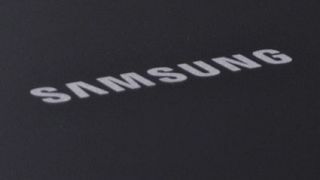 The company's legal counsel also expressed displeasure with Samsung's lawyers' reported repeated references to the jury. The evidence Samsung leaked were slides of the company's phone designs and an except from the deposition of former Apple designer Shin Nishibori. In its media statement, Samsung said the excluded evidence would have established without a doubt that Samsung did not copy the iPhone design. Samsung has not returned calls from TechRadar for comment.